E-waste is on the landfill blacklist for a good reason. Electronic devices seem like they were made to resist decomposition … forever. The glass they might contain takes 1-2 million years to decompose. Plastics last forever: a plastic jug lasts 1 million years, and plastic bags stick around 20 to 1,000 years. And that’s for comparatively thin, low-grade plastics, not the kind that makes up your computer mouse. 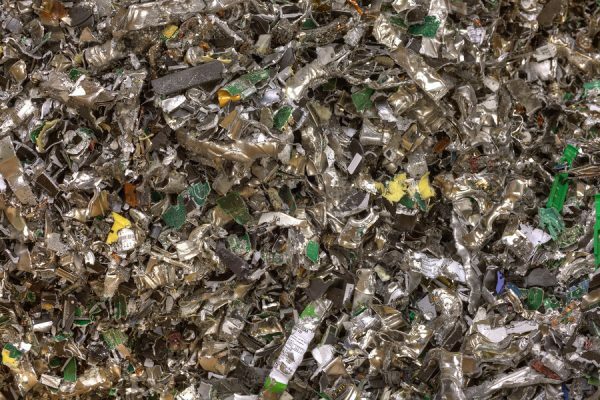 Flimsier metals, like tin can steel, take 50 years to decompose, and an aluminum can takes 200 to 500 years to break down. That’s not taking into account heavier duty components, like the neodymium-iron-boron magnet in a computer’s hard disk head. When it comes to e-waste in landfills, it’s far more likely that e-waste will manage to pollute the environment than it is to biodegrade. It will switch hosts like a parasite and live on forever in a different place. Toxic e-waste compounds get into the water, the soil and, if burned, even the air. There’s no use denying e-waste is extremely toxic. A report from The University of British Columbia’s Medical Journal outlined the toxicity of e-waste. A comprehensive table shows the toxic chemicals found in e-waste, where they come from and the health problems related to each: Aluminum in computer sheathing causes disfiguring rashes; lead in LCD display screen causes vomiting, convulsions and sometimes death with acute exposure; mercury in printed wiring boards can cause tremors, kidney damage, memory relapses and central nervous system damage when ingested or inhaled, just to name a few. A popular statistic floating around is that e-waste accounts for 2 percent of America’s trash in landfills and 70 percent of our overall toxic waste. So the issue with e-waste ending up in a landfill isn’t just how long it stays there, but what it does while there. But with all our efforts to recycle, that begs the question of how e-waste ends up in landfills in the first place. There’s absolutely no reason for e-waste to be in a landfill. The raw materials in e-waste are completely recyclable, not to mention the opportunity for refurbishment, take-back programs, donation and resale. It does look like we’re making strides, though. There’s the high-profile ban in New York City on throwing e-waste in with the trash, a ban that comes with a $100 fine per infraction, if caught. Meanwhile, the amount of e-waste recycled went from 30.6 percent in 2012 to 40.4 percent in 2013. Over half of our e-waste was not accounted for in the recycling process just two years ago. It simply gets dumped. Those numbers came from an EPA report. And then there’s the export problem. 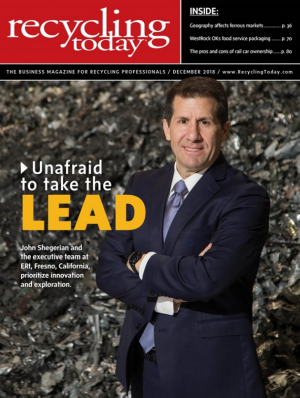 It’s hard to pin down an exact number on how much hazardous e-waste gets exported out of the U.S., since most of it is done under shady circumstances, but e-Stewards estimates over 50 percent of the time you take your e-waste to any old uncertified recycler, it ends up getting shipped to developing countries. Then you end up with images of Guiyu, China, where mountains of e-waste call the town home. Between the lack of recycling and shipping e-waste overseas, we still have quite the e-waste dumping problem. So what can we do about it? Importance of certifications An e-Stewards certification means a business is handling electronics sustainably and safely from a global perspective. It’s the certification that prohibits companies from shipping waste overseas. Bonus points if the recycler, such as ERI, is e-Stewards and R2 certified. R2 adds another layer of sustainability certification. There’s more information about the two certifications here. On the whole, avoid any company that ships its electronics to developing countries to be processed. Donation or selling options: If a device still has some life to it, donating the device to a charity or selling it on sites like Swappa might be good options to consider for yourself or promote to others. The realities of the world we live in mean that sometimes phones get turned in while they are still good. Maybe a two-year contract meant a cheap phone upgrade, or a new phone had that one feature that dictated a new phone purchase. If a device doesn’t need the slightest bit of refurbishment, it’s a safe bet that it can be resold or donated. And when it has problems, then it can be recycled.